With Colorado’s local real estate market continuing to perform above the national average, many consumers are expressing interest in listing their home for sale in the New Year. What few potential Sellers realize, is that preparation for a successful home sale in 2018, begins now. 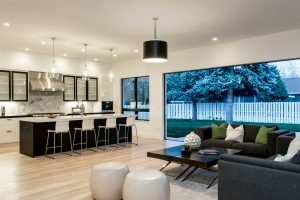 While top values for home sales are typically achieved during the Spring selling season, (approximately March through June), preparing your home for sale well in advance of the prime selling season offers distinct advantages. Not only do Sellers who begin the process of readying their home for sale in the months of November through February enjoy the benefit of increased availability of industry professionals ranging from mortgage lenders to service professionals, Sellers are also poised to recoup top resale value for their home when the market heats up. Preparing your home to be market-ready during the cooler months now, means less stress, more options, and better chances for achieving top home resale value in the New Year. Sellers planning to list in 2018 might consider requesting a pre-listing home inspection. This service allows Sellers to be aware of any necessary home repairs- both indoors and outdoors- and have ample time to get them fixed, prior to listing their home. Your LIV Sotheby’s International Realty broker can arrange a pre-listing home inspection for you and connect you to the best inspectors in the industry. Most homes can use a little decluttering – and that is especially true before they hit the market. Autumn in Colorado provides an excellent time to declutter your home, and with winter just around the corner, the sooner you get started, the better. This way, Sellers are poised to list their clutter-free home, without the hassle of lugging boxes to storage mid-winter. A comparative market analysis (CMA) can help Sellers understand where their home stands in the real estate market. Information ranging from Active, Pending and Sold listings, to a thorough examination of Comparable Sales (sales that most closely resemble your home), are often covered in these reports. The easiest way to obtain one of these reports it to reach out to your LIV Sotheby’s International Realty broker and ask for one for your home. The Colorado real estate market traditionally follows a cyclical trend that often correlates with the changing seasons, however, markets do vary. In areas like Denver Metro and Boulder, inventory levels and the number of home buyers entering the market typically decrease in Autumn months, affording more opportunities for Buyers to purchase homes at a lower price points and with less competition, compared to the summer months. In Resort areas, Autumn months sometimes demonstrate an increase in average sales price due to many Buyers seeking to purchase homes prior to ski season. Regardless of your real estate market, advanced-planning and understanding seasonal trends in Colorado real estate can help Buyers and Sellers make informed decisions when entering the market or preparing to list. While some Buyers and Sellers tend to sit on the sidelines when it comes to pre-planning for the sale of their home, savvy investors know that now is the time to prepare for home resale in 2018. A LIV Sotheby’s International Realty broker can help clients make good decisions for the future now, while monitoring all the variables that affect timing and price when it comes to selling your home.